LG V10 review : An Intriguing Device With Secondary Display and Dual Front Facing Cameras. Every smartphone manufacturer is always on the hunt to bring that one feature in their smartphone, just to stay ahead in the league. Frankly this makes their device stand out from the crowd, no matter if it includes crazy swivelling cameras, edge displays, curved displays, active display technology, Forch touch Display.. heck even display projectors. We've seen Samsung & LG succeed in this space as they're the major players in Android ecosystem, who often gamble and bring something new to the market. 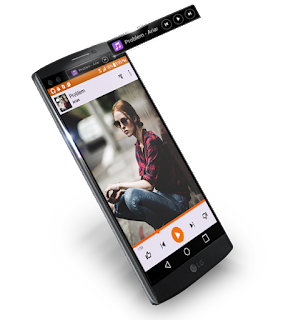 Today let's talk about LG, so LG G Flex was one of the most interesting devices LG had ever built, as the phone came with a Curved Display panel making it useful while consuming media & placing/attending Calls. So with a similar approach of bringing something new to the market, LG has an answer to Samsung Galaxy Edge's with an interesting inclusion of Dual-front facing cameras. Yes, that's not a typo..  So let's talk in-depth about the new LG V10. It has a Snapdragon 808 Hexa-core Processor (clocked at 1.44 GHz Quadcore Cortex-A53 cores & 1.82 GHz dualcore Cortex-A57 cores) coupled with Adreno 418 GPU & 4GB Ram. 5.7 inch Quad HD(1440 x 2560) LCD IPS display which gives it an overall pixel density of 515 ppi. While the Gorilla Glass 4 keeps your device protected to accidental drops. There's even a 2.1 inch(160 x 1040) Secondary Display, which we'll talk in a bit. It's available in 64GB variant, while the device storage can be expanded via MicroSD card upto 200GB. 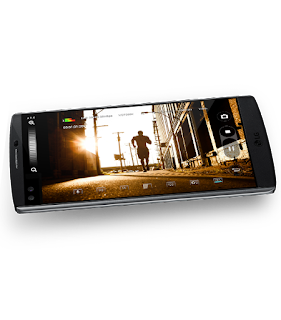 Primary Camera is a 16MP Shooter almost the same found on LG G4 with features like Laser Autofocus, OIS & other LG software gimmicks. It is capable of recording 4K video at 30fps without OIS & 1080p HD videos at 60fps with OIS. While there are two 5 MP secondary cameras, one with 80degree field of view & other with 120 degrees. Bottomline : One for the crowd & other one for yourself. LG wants to eliminate the need of any selfie stick for people with smaller hands. There's even a feature called Hi-Fi Audio. There's a Fingerprint sensor residing at the back panel below the camera module, which is LG's favorite spot. Apart from that there's inclusion of the usual stuff like Accelerometer, gyroscope & proximity sensor, Wi-Fi 802.11 a/b/g/n/ac Dual band Wifi, Bluetooth 4.1, Assisted-GPS & glonass support. 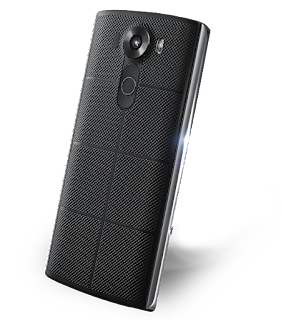 It comes with a 3000 mAh removable lithium-ion battery, Thank you LG. It is available in Space Black, Luxe White, Modern Beige, Ocean Blue & Opal Blue colours. We'll are familiar with LG's plasticky approach to all it's devices, but with LG V10 there is a change in that direction. LG V10 features metal bands on the edges making the device rugged to scuffs & accidental drops, while also making the device feel more premium in hand. If you consider the rear button placement, well they're are now bigger and easy to press than the earlier housing on LG G4, thanks to the Fingerprint Scanner on LG V10. Fingerprint placement makes good sense as our index finger is always residing the rear end of our device, so that's a bonus. Infact the newer Nexus 5P made by LG also extends that approach in a thoughtful way. Though there is 70.8% screen-to-body ratio which includes end to end bezels on either side of edges, the 5.7 inch screen accommodates a very large body making it slightly larger than iPhone 6 Plus & that's saying something. The back panel is made of a rubberised pattern, which certainly enhances the grip & hold of the device, but it makes the device look so ugly. Those side metal bands are made from SAE grade 316L stainless steel, while the top, bottom & rear back panel is made from a material called Dura Skin which makes the device feel smooth, while it also retains the durability to make the phone capable of Military standard 810G rating. So for those who're known to toss their phones every second or so, now might be your chance to try this device. But what sets this device apart from competition is the secondary display placed at the top, below the earpiece residing next to those 2 front-facing cameras, which divert us to the next point - Display. So LG V10 has a gorgeous Quad HD display which produces some accurate colours at 515ppi. So your movies are going to look great on that big 5.7 inch display panel, even in direct Sunlight, which is something you can't say about Samsung's OLED panels. You might think that's great, but believe me there's more. There's inclusion of a secondary display below the earpiece, which acts like an edge screen of what we've seen in past/current Edge devices from Samsung. The edge screen from Samsung basically functions as an overlay to see small notifications, same is what can be said about LG V10's secondary display. It acts as an notification panel for music player widget, accessing contacts, calculator, there are even few predefined shortcuts to camera/torch etc which can be accessed without unlocking the device. So the secondary display is 2.1 inches (160 x 1040). The display serves as a toggle to predefined apps, which i think is bad, As User's should be given a chance to select which Apps appear there. As launching Camera, Torch can be already accessed via volume and unlock switch. Why would anyone put over his/her finger all the way across the top, just to launch the camera? I hope this gets fixed & users are given choices to swap toggles in secondary screen from the upcoming marshmallow update, speaking of which LG claims that they'll be releasing Android 6.0 update for this device until the end of this 2015 or early 2016. Also, LG G4 is going to be the first Non-Nexus device to receive the marshmallow update faster. Also the top placement for Secondary display is not a good choice, LG V10 is already a massive device due to which this will affect the people with small hands. If that screen would've been placed below the on-screen buttons from primary display, it would be a great choice as that part is more widely used by any consumer across the globe. 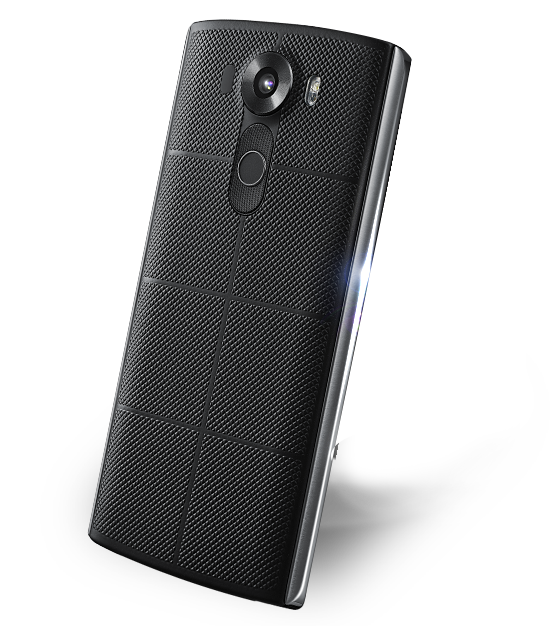 So keep that in mind for LG V10 2 next time, LG. Also that additional screen doesn't eat much battery, LG claims that it only consumes 5% of the battery, even though it's an always on display (You can turn it off though). Let's get started with the Primary Rear camera which is an 16MP shooter, which is almost the same camera sensor found on LG G4. It takes some great shots, both indoors & outdoors. The sensor is capable of producing 4K video at 30 fps, though you cannot use OIS(optical image stabilization), which is a downside as you're going to get a great video footage, but with shaky hands which is if it's recorded in motion. But when you switch it back to 1080p HD videos, OIS performs an amazing task stabilizing the video both hardware & software wise. You also get some great controls over ISO/Exposure/Manual focus.etc while taking a Photo/VIDEO from the in-built LG Camera App. Put forth now you can forget your DSLR, when you're out. 1st front camera is capable of accessing 80 degree field of view. 2nd front camera is capable of accessing 120 degree field of view, which is essentially better for group-selfies so that you couldn't accidentally cut that one friend from the frame. So why to make 2 front facing cameras ? Do you think LG made it just to fill that space where the secondary display resides, so that it would look uniform? Well nope, that's not the case. LG thinks that you don't need a selfie stick to take a group-selfie, all you need is a better camera. Alright LG.. agreed, but why the need of another camera? (one with 80degree view) Couldn't we just take selfie on that same(120 degree) camera? Well only a single front facing camera with better optics would've get the job done. Though the front cameras present here do a decent job. But who knows they might be planning for something else, for eg. live photos, Htc Zoe stuff with those cameras with future software updates. So it'll be interesting to see that. LG : Please give a revamp to your custom OS built on top of Android, Please. In Marshmallow remove unnecessary bloatware, as bloatware simply makes the phone feel uncomfortable & messed up. There's also something called Hi-Fi audio, which oversamples the 16 bit audio into 32 bit audio as a result of which more clear & crispier sound is produced. Well Just like Oppo's find 7 & R5 Camera Sensor Oversamples a 13MP shot into 50MP photo to make it look more crispy, LG V10 does the same job but with Audio, not with the photo. Props to LG for making the battery User-replaceable, even for adding a MicroSD card slot. This is what definitely strikes LG first in the competition with other features, part of which is now dropped by Samsung. So there you have it, LG has created a wonderful device for consuming media, performing heavy tasks & a device that's going to be in every road-warrior's pocket. The Price of this device isn't confirmed yet, but consider a heavy price tag. This device goes head-to-head with the big boys from the contenders. I'll make sure to update this article as soon as I receive the price info. Also See : LG's Nexus 5X improves the legacy of Nexus 5.